He is a Professor in the Department of Biological Sciences at Florida Atlantic University. His area of expertise is the sensory biology of sharks and rays with an emphasis on the electrosensory system. In addition to his sensory physiology research, Dr Kajiura studies the massive seasonal aggregation of blacktip sharks in southeast Florida. He incorporates aerial surveys with tagging and acoustic telemetry to document the migration of these sharks along the US eastern seaboard. Dr Kajiura has conducted research for various agencies including the National Science Foundation, the Department of Defense, and the National Marine Fisheries Service. He has published over 50 papers in peer-reviewed journals and has presented numerous talks at scientific conferences. He has supervised a dozen graduate students and post-doctoral researchers, and has served on numerous thesis committees for students from around the world. Dr Kajiura maintains a strong public outreach service, primarily through television documentary appearances, and has served as an elected member of the American Elasmobranch Society Board of Directors. 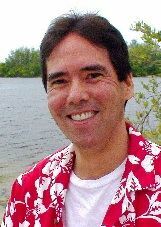 Dr Kajiura received his PhD in Zoology from the University of Hawaii, a MS in Marine Biology from the Florida Institute of Technology, and a BSc (Hons) in Marine Biology from the University of Guelph (Canada). Southeast Florida experiences an enormous seasonal influx of upper trophic level marine predators each year as blacktip sharks (Carcharhinus limbatus) migrate south to overwinter in nearshore waters. These sharks form aggregations ranging from a few individuals to thousands. The sharks are often found in very shallow water, only a few meters from popular swimming beaches which raises concerns about potential negative interactions. To quantify shark abundance and distribution, an aerial survey was conducted during peak season (December - April) from 2011-2017. A low altitude (150m) survey flight was flown from Government Cut (South Beach, Miami) to Jupiter Inlet at approximately biweekly (2011-2014) or weekly (2015-2017) intervals. A high definition video camera recorded a transect from the beach to approximately 200m offshore. Segments of the survey transect were demarcated by inlets, and the number of sharks found within each segment was counted to calculate shark density. During the seven year study, the greatest shark density was consistently found in February and March. Although sharks were seen throughout the entire 132km length of the survey transect, significantly greater numbers of sharks were found at the northernmost third of the transect in Palm Beach County (Boynton Beach Inlet to Jupiter Inlet) where densities exceeded 1,000 sharks km-2. The habitat throughout the transect is largely consistent, so it remains unclear why the sharks are not distributed farther south. Southward migrating sharks might simply stop once they reach appropriate conditions and warming oceans might eventually restrict their migration to increasingly higher latitudes.